As it often happens, the path of true love never runs smooth. Circumstances force them apart even though they were madly in love. She becomes a victim of depression. When everything fails to return her to normalcy, help arrives from an unexpected source. Will she ever find happiness again? Will time allow her heart to heal and forget Arjun? What indeed is true love? What is that strange secret that locks all the circumstances together? 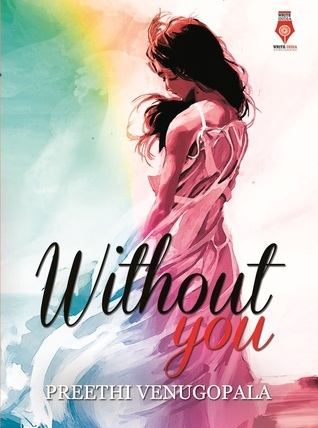 Without You is the love story of Ananya and Arjun. Ananya fell in love with Arjun during her vacations at grandmother’s house but something terrible happens between them because of which Ananya decides to end up their relationship and move on without him, though she still loved him a lot. The story proceeds with Ananya as emotionally broken girl. Dreams that she had, were shattered and the life seems to be having no direction to move on. But the true love finds you every time you try to hide from the life, the same happens with Ananya. The story is fast paced and the writing style of Author is brilliant. Characterization of each character had required depth and the description of each scene made the book alive in reader’s mind. The language used and the narration of the book is what I enjoyed the most while reading the book. Being the simple love story, it’s difficult to stand out when so many other books are competing on the same genre, yet this book stands among the top because of small elements that makes the book special. Unexpected turns, side stories and brilliant writing, did the trick for the book. I would like to recommend this book to every lover who loves to read about true love. My rating for the book is 4/5.